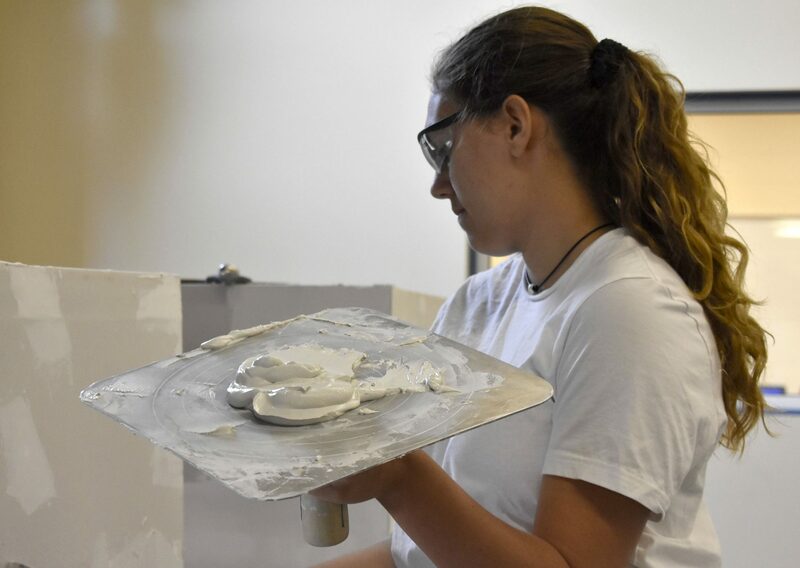 The Painting & Design program seeks to give students a wide array of skills that will reflect a strong creative work ethic. Problem solving and hands-on experience with ever changing materials keeps ideas fresh. High quality work is expected and students will be given opportunities to redo work until it meets standards specified during instruction. Assessment methods will include written exams, tests and quizzes, oral and written research papers, reading assignments, and projects. Preparation towards Co-op placement through community based live work gives students Job experience. The Painting and Design program offers an integrated technical and academic learning experience that ensures everyone succeeds. This Painting and Design Technology course is a 2 year chapter 74 approved program. 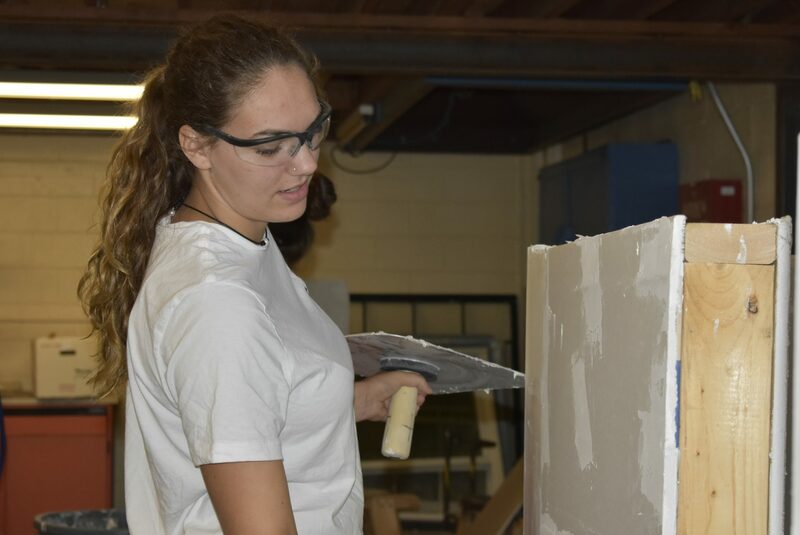 The course gives practical information and hands on training about planning, sheet rocking, plastering, painting, decorating, and designing homes. 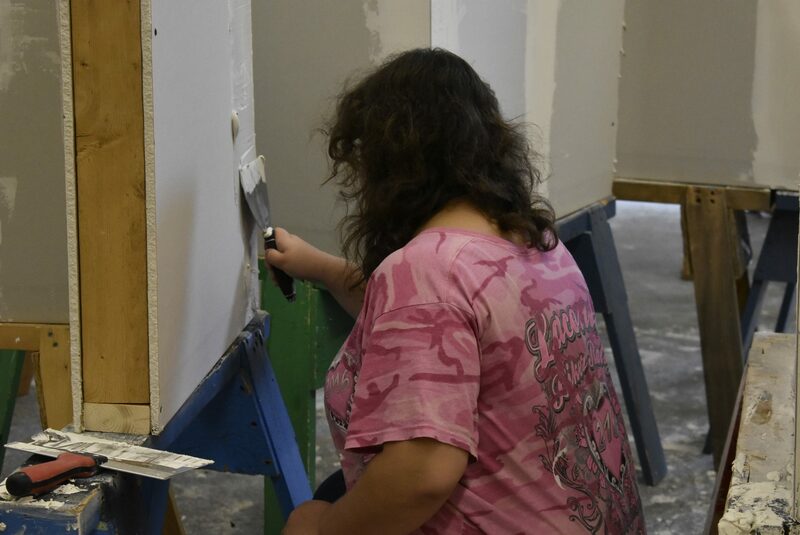 As a painter, students will hang and finish sheetrock, prepare surfaces for painting and finishing; apply undercoats and finish coats using the full range of application methods and materials; mix and match paints and finishes; as well as perform decorative painting (faux) techniques, participate in theatrical Set Design, participate in off campus construction and students who are eligible may participate in CO-OP the second half of their senior year. As a designer they will create different plans using sketches, CAD programs and display boards to help make a living space safe, functional, and attractive. In order to accomplish this, as designers they will take many different elements under consideration. This includes combining different colors and textures together as well as utilizing lighting and furniture in a method that draws interest while remaining functional. Key Duties and Responsibilities: Examples of key duties are interpreted as being descriptive and not restrictive in nature. The following duties are listed as both trade specific and shared responsibilities. Information in this course will be applied to individual rooms, the structure as a whole and overall landscape. They will learn how different options can be used to meet the taste and lifestyle needs of individuals and families. They will learn how to choose the appropriate materials for structures, furnishings, and its decorations. Paint, wall covering, wood, masonry, concrete, metal, glass, ceramic, plastics, finishes, and textiles will be discussed. 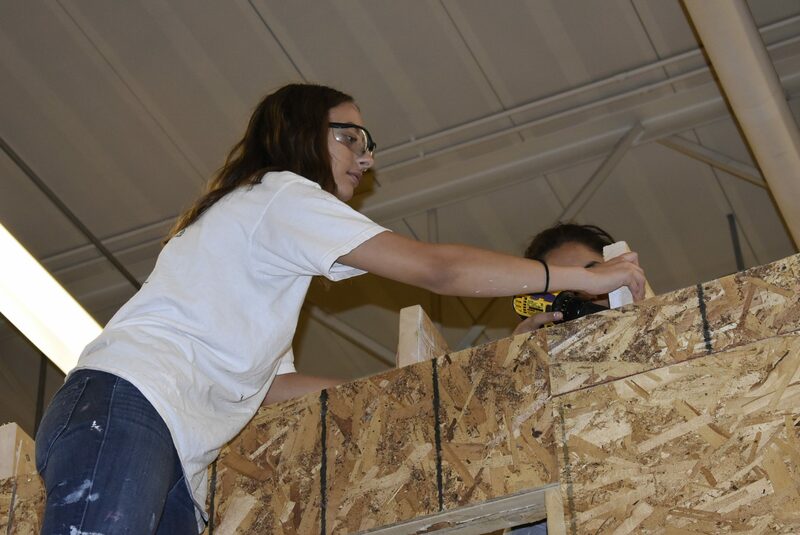 Students will learn how to evaluate materials in terms of appropriateness, strength, versatility, maintenance requirements, and cost. With the help of charts and illustrations they will learn to identify the style and judge the quality of home furnishing, housing needs, as well as plumbing, electrical, and climate control systems. The students will use 20/20 Design and Chief Architect computer design software to introduce techniques for presenting housing ideas, rendering presentation boards, models, and other presentation techniques. Information is also provided on exterior design, landscaping, remodeling, lighting, and careers. 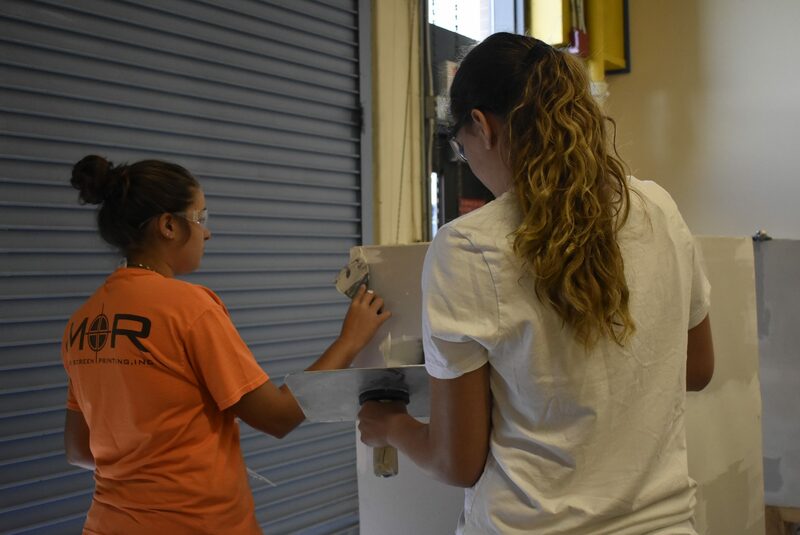 Because of the complexity involved in the building and painting trades, students become experts only after many years of experience. 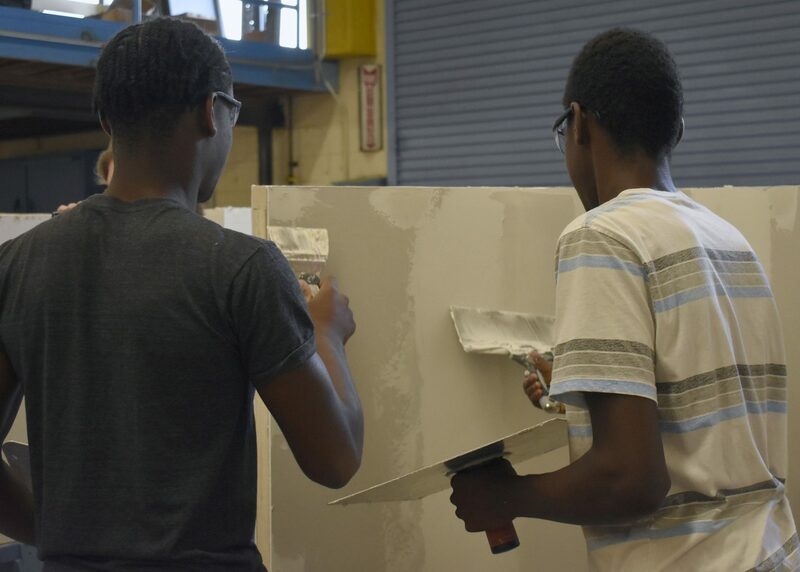 Upon completion of the GNB Voc-Tech Painting and Design program, students will have a good knowledge of the building and painting trades as well as residential computer designs. 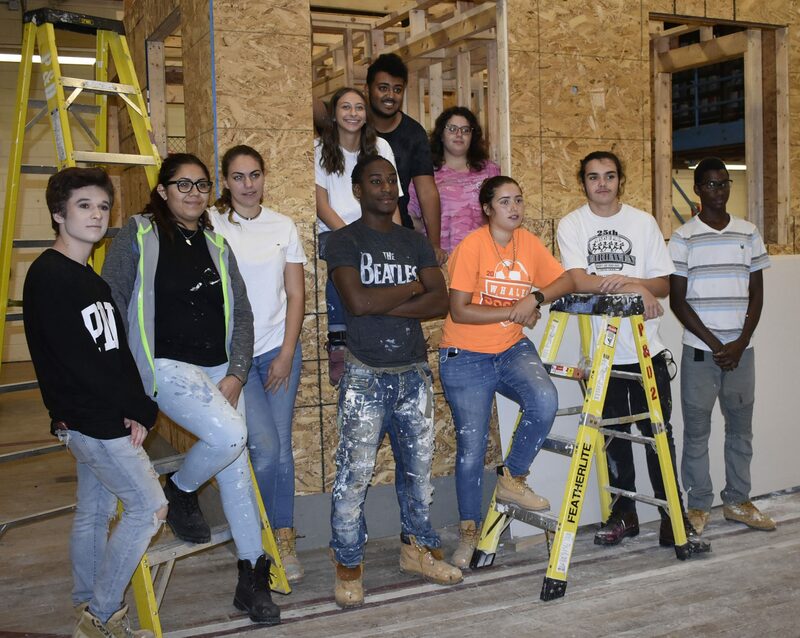 Students may choose to enter two- or four-year colleges such as Northeastern, Wentworth, Mass Maritime or New England Tech to pursue degrees in Construction Technology, Interior Design, Architectural or Civil Engineering. Students may also pursue a real-estate school. Career paths may take many directions. Following are a few examples. Building Trades: sidewaller, drywall hanger, floor covering installer, building renovator, blueprint reader and building inspector. Painting Trades: residential painter, commercial painter, technique painter, decorative painter, graphic designer, wall-covering applicator, industrial painter, drywall taper.